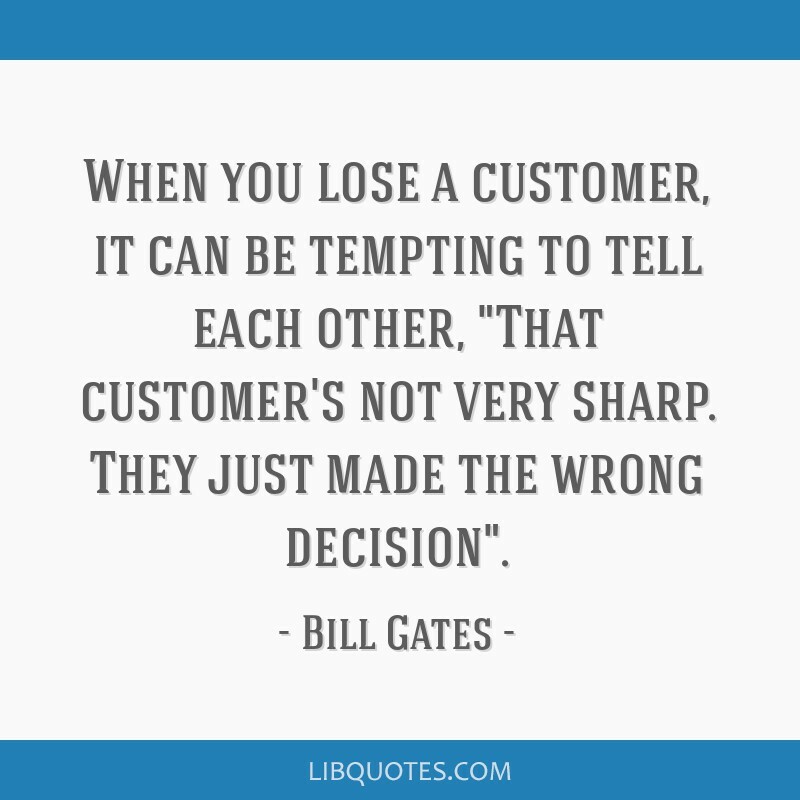 When you lose a customer, it can be tempting to tell each other, That customer's not very sharp. 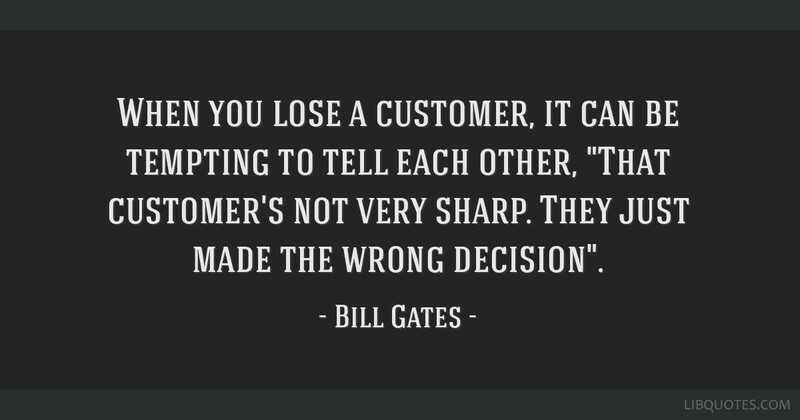 They just made the wrong decision. 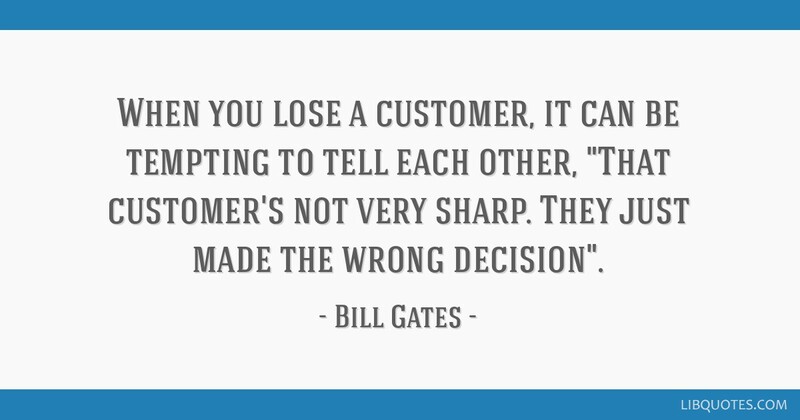 When you lose a customer, it can be tempting to tell each other, "That customer's not very sharp. 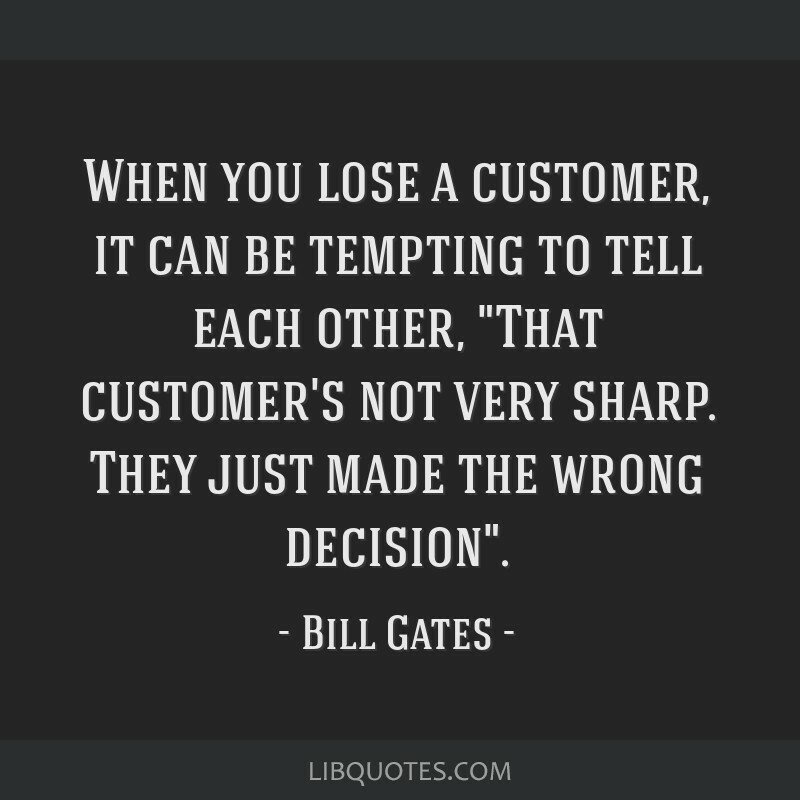 They just made the wrong decision".